1. Waste heat from industrial and other processes or cogeneration is passed through a heat exchanger (Via Liquid or Gas). approved working fluid driving a Low-Friction ex­pander. 3. 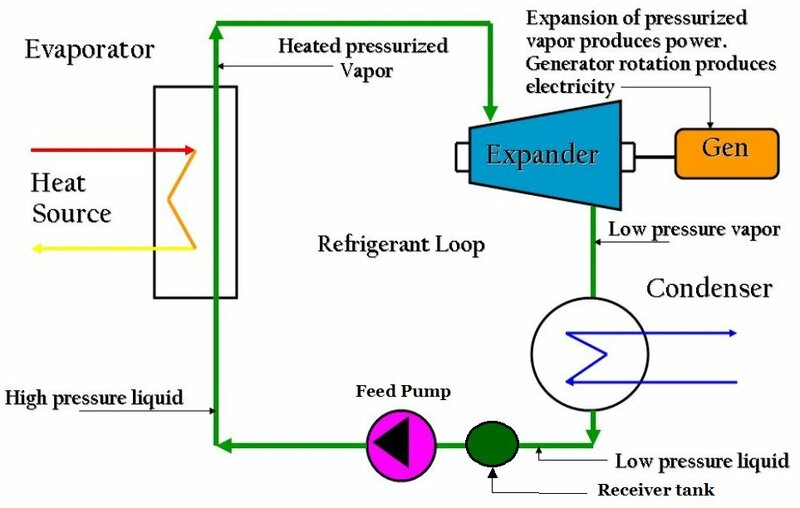 The expander rotates the generator producing electricity.